BILLIONS in federal contracts - OFFSHORING? Moving work to China and other overseas locations Boeing has chosen to take BILLIONS in federal contracts and use that money to eliminate jobs in the United States. Their CEO has even acknowledged that doing so will create competitors overseas because of technology transfers that are required to do business in China. It’s time to take Boeing to task for their un-American business decisions and hold them accountable. Keep those jobs in the United States. 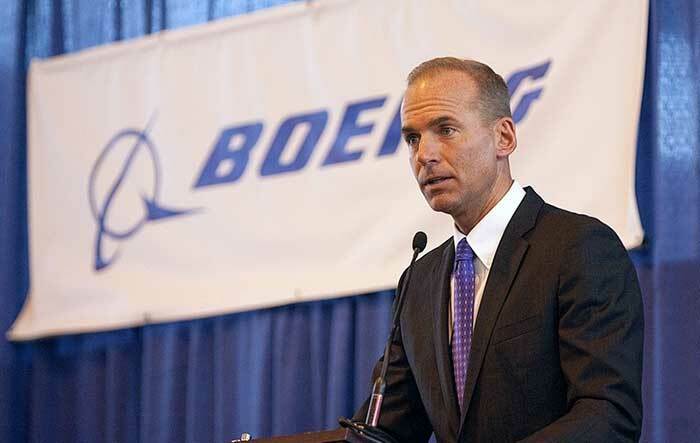 According to a Good Jobs Nation statistic Boeing received $29 billion in federal contracts and outsourced 2,681 jobs. Doing business in China requires you to share technology. There have already been instances with high speed trains being built in China where afterwards those Chinese companies began using the technology to sell the same kinds of trains. Boeing’s decisions are not only hurting American workers now by offshoring their work but they’re weakening our prospects moving forward. This is a clear example of not putting America first. It’s time for companies like Boeing who are receiving windfalls of federal contracts and additional American tax dollars from the corporate tax rate being lowered to stop offshoring at a record pace. It’s disgusting that a U.S. company founded in 1916 in Seattle, Washington not to hold true to American values. Hard working American workers made Boeing what it is today and for them to now turn their backs and put profits over those that helped them to achieve so much is horrible. It’s wrong. It’s shameful. It’s un-American. Now it’s time for it to stop. First Carrier and Boeing. Now Harley-Davidson. More Layoffs, Offshoring at Trump-Touted Businesses.